Women typically are the safekeepers and managers of their families’ health. Women often purchase their families’ medications, take their children and sometimes their parents to medical appointments and frequently make most of the family health care decisions. If this describes your role, there is much to know about how to keep yourself and your family safe when using medication. Chances are you have a cabinet full of medications—from over-the-counter (OTC)decongestants to prescription drugs you take for a variety of reasons. You may also have some herbal supplements, vitamins and minerals—even some expired medications and perhaps some prescription drugs you no longer use. The U.S. Food and Drug Administration (FDA) has the final say as to whether a medication will be available by prescription only or OTC. The FDA establishes guidelines for use, which are required to appear on all labeling instructions, but the proper use of these drugs depends on you. Herbal products are regulated only as dietary supplements, but nonetheless, they must be treated as medications because they may have side effects or may interact with prescription medications. Therefore, they should be used as you would any other medication: carefully, correctly, with your physician’s knowledge and with periodic review. Ask questions about your medications if you don’t understand how to use it until you fully understand the answer. Dispose of all expired medications properly and look through your medicine cabinet from time to time to make sure nothing in there has expired. When two or more drugs, herbal agents or supplements are mixed in the body, they may interact with each other and produce uncomfortable or even dangerous side effects. Your health care professional needs to know what medications and agents you take so he or she can help you avoid possible adverse drug interactions. This includes any prescription or OTC medications, supplements, herbal remedies or vitamins and minerals, even if it seems as minor as aspirin or sleep aids and even if you only take them occasionally. Make sure you mention, also, if you use birth control pills or other methods of hormonal contraception such as long-acting shots or implants. Even certain foods and drinks can interact with medications. When it comes to medication safety, pregnancy and breast-feeding require special consideration. So, too, do other stages of a woman’s life and the lives of those she cares for. For example, some women find that hormonal fluctuations may affect how certain medications work or increase their need for medication. Headaches experienced premenstrually, for instance, may increase a woman’s use of pain relievers. Using medication for children requires careful supervision. Age may also affect how medication works by affecting how it is absorbed. Also, as people age, they tend to use more medication for different conditions; drug interactions may become an issue. All these “life-stage” issues are important to be aware of and discuss with a health care professional. If you are pregnant or trying to become pregnant, it’s imperative that you let your health care professional know, because some drugs are dangerous to an unborn baby. Some drugs, including common antibiotics, as well as certain herbal remedies, can cause birth control pills to become ineffective, requiring that you use a second form of birth control. Be sure to ask your health care professional about this possibility so you won’t be surprised by an unplanned pregnancy. Before you leave your health care professional’s office, make sure you know what the prescription is for and how it should be taken. You should also understand if there are major or common side effects. Then you can double-check these facts at the pharmacy. Make sure you can read the label at the pharmacy. Very often the information sheet provided with a prescription provides an exhaustive list of every side effect ever reported even though some may be very rare. If you are confused by the information provided, you should ask for help from your health care provider’s office or from the pharmacist who gave you the medicine. In fact, you should always discuss with a pharmacist any questions or concerns you have when you purchase prescription or nonprescription medications, herbal agents or supplements. If you believe you are experiencing side effects after you begin taking medications, contact your health care professional. Don’t try to adjust your dosage, either to minimize side effects or save money. Finding just the right dosage is a fine science that requires teamwork between you and your health care team. It’s also important not to stop taking a medication because you feel better without first consulting your health care practitioner. If you or someone in your care is taking a lot of medication, consider asking your primary health care professional, the specialist who has prescribed the majority of your medications or your pharmacist to conduct a “brown-bag checkup” for you. This is a safety measure to ensure all the medications you are taking won’t cause any potential problems and don’t need to be adjusted to meet changing health needs. Before you leave the pharmacy, go over the dosing instructions with your pharmacist. Make sure you can read and understand the instructions. For example, if the instructions say, “take 5 mL,” make sure you know what 5 mL is and use a special liquid dropper or oral syringe to make sure you take the right amount. Also ask your pharmacist what the concentration of the original prescription was supposed to be. For instance, your doctor should have written: 250 mg per 5 mL. Double-check that the concentration is correct. If the bottle says, “take three times a day,” find out if you need to take the medication at meal time, at three equally spaced times during a 24-hour period or at three equally spaced times during your waking hours. Most medications don’t require you to take them in the middle of the night, but you should double-check to make sure. While you’re at the pharmacy, ask the pharmacist to open the bottle to see what the medication looks like. The pharmacist can help make sure the medication looks right. You should also look. If you’ve taken the medication before, does it look the same? If not, be sure to ask your pharmacist about it to ensure he or she didn’t dispense the wrong drug. Sometimes the same drug may look different if it came from a different manufacturer. Also ask your pharmacist what the medication will do for you and make sure his or her answer makes sense. If you are filling a prescription to treat an infection, for example, but the pharmacist says the drug is for asthma, you’ll know a mistake has been made. How could such a situation occur? Many prescription drugs have very similar sounding and looking names within one or two letters of each other. Ask your pharmacist or physician about any potential side effects or adverse reactions to the medication, as well as what you should do in case you experience any of them. Ask your pharmacist what foods to eat or not eat with each drug; some drugs shouldn’t be taken with certain foods. Some foods can make medications more or less powerful or interfere with your body’s ability to absorb them. For example, drinking grapefruit juice while taking certain medications may increase blood levels of these drugs. Other drugs should be taken with a full glass of water. Finally, ask your pharmacist how you should store the medication; some drugs need to be refrigerated. Ask your pharmacist about OTC medications as well as prescription drugs. Remember, just because a medication is available over the counter doesn’t mean it is safe under every circumstance for every person. For example, many decongestants can raise blood pressure and be dangerous for those who already have high blood pressure. Your pharmacist can tell you when and how to take the medication and if it should alleviate the symptoms you are trying to treat. He or she also can look up your prescription drug record to make sure the OTC product won’t have adverse interactions with any of the other medications you take. Try to use one pharmacy for all of your prescriptions so there is a complete drug record in one place. Take a specific list of prescription and OTC drugs you take and their dosages with you to the hospital so the health care professionals there can know what you are taking. (It’s best to bring the actual medications; you can have a family member or friend take them home after the health care professional has seen them.) Also tell your health care professional about any illegal drugs you use, making sure he or she knows that the information is confidential. Ask the person bringing your medication the name of each medication and the reasons you are taking it. Then, each time you are given a drug, make sure the hospital employee checks your identification. You can do this in a friendly and nonconfrontational way. If you don’t remember your health care professional telling you about the specific medication, you need to ask questions to help ensure a mistake isn’t being made. When you or a family member is ready to go home, have the health care professional or hospital pharmacist go over each medication with you, just as you would in a health care professional’s office or pharmacy. Women need to remember drugs and medications affect people differently. What may work for your partner or friend may not work in the same way for you. Never take another person’s prescription medications. It’s easy to make a mistake when you are busy or overseeing medication for more than one family member. Make sure instructions for each medication and family member are written down so you don’t have to worry about remembering every detail. Ask your health care professional to write out a medications schedule you can sign when you take your medication. If you receive any conflicting or confusing information or instructions, contact your health care professional for clarification. When you or a family member starts taking a new medication, watch for any side effects or adverse reactions. Some adverse reactions result from being allergic to a drug and can be so dangerous you should stop taking the medication and seek emergency medical treatment immediately. Other non-life-threatening side effects are reasons to call your health care professional and your pharmacist. These side effects may be minor or common. If they don’t bother you too much, the positive effects of the drug may outweigh them, in which case your health care professional may have you continue taking the medication. In other cases, your health care professional may want you to stop taking the medication or try a different dose or different drug. Keep track of any reactions and make sure your pharmacist enters the information into your file. Also be sure to mention the reactions to any health care professionals you see. If you discontinue your medication because of uncomfortable side effects, notify your health care professional. Also, don’t try to adjust the dose without telling him or her. For example, abruptly stopping certain medications can cause serious consequences such as extreme changes in blood pressure or heart rate. If you experience minor side effects and are advised to continue taking the medication, be careful in treating the side effect. Make sure the medication you take—such as an antacid for minor stomach upset—will not interact or interfere with any of the medications you take. Keep your medications in their original packaging with the full instructions. In the case of OTCs, be sure to read the label and informational insert carefully to note any warnings or possible side effects, especially if you have a health condition such as diabetes, thyroid disease, high blood pressure or heart disease. If the condition for which you are taking OTCs doesn’t get better—for example, if you have indigestion or pain for several days—you should contact your health care professional. Indigestion is a symptom that could be harmless, but it can also be a warning sign of a heart attack or other heart-related problem in women. Persistent indigestion and other gastrointestinal discomfort may also be a symptom of ovarian cancer. Any persistent symptom should be discussed with a health care professional. It’s also not wise to take an OTC for a condition you are experiencing for the first time. In such a case you may be guessing at what you have. For example, you should talk with or see a health care professional the first time you get a yeast infection, rather than trying to treat it yourself, to make sure your symptoms truly are associated with a yeast infection and not another condition. Don’t chew, crush or break any capsules or tablets or mix with a liquid unless instructed. Your body could absorb some long-acting medications too quickly if you chew or crush them. Other medications may be ineffective or could make you sick. If your health care professional prescribes a medication that only comes in one dosage that can be safely split and you only need one-half the dose, purchase a pill cutter or ask the pharmacist to split the pills. Pill cutters are inexpensive items that you can buy at your local drugstore. They make cutting pills easier, more even, and you won’t lose the other half of the pill when it flies onto the floor! If you are taking a liquid medication or giving one to your child, be sure to use the correct measuring cup or spoon. Some medications come with marked cups—keep them together with the medication and don’t use the cup or dropper for a different medication. Also, don’t use regular household spoons, which can vary greatly in size. Use an actual measuring spoon. Your best bet is to get a medicine spoon—or an oral syringe—at the pharmacy (often they are free) to be sure you measure the correct dose. Do not use a hypodermic syringe to draw the medicine up. Forgetting to take your medication is not uncommon. Whether or not you should take a missed dose depends on the drug. In some cases, it may be appropriate to take the missed dose as soon as you remember. In other cases, it may be too close to the time you need to take your next dose. If you didn’t get enough information on what to do in this situation from a drug-information sheet or from your pharmacist, call him or her for advice. Don’t stop or change your dose for any reason—even if you are feeling better—without first talking it over with your health care professional. Otherwise he or she won’t have all the information necessary to continue treating you effectively, and your care will be compromised. Keep medications in their original containers (except when using a medication dispenser) so you’ll know what they are and how to take them. Keep medications out of direct sunlight and away from moisture. Also, be sure to store medications where children can’t see or reach them. If you have children or children visit your home, you should keep your medications in a locked box or cabinet. Do not store your medications with household chemicals or cleaners, and don’t store them in the same place you keep pets’ medications. Also, don’t store tubes of ointments or creams near your toothpaste—a mistake when grabbing quickly could range from unpleasant to serious. If you have difficulty opening your medications because they have child-resistant caps, you can ask your health care professional and pharmacist for a non-child-resistant cap. This should only be done if there are no children in the home or children (or grandchildren) visiting the home, and the prescription should be kept in the medicine cabinet. If you use child-resistant caps, make sure you tighten them when you’re finished taking your medicine or a child could still get into your medication. Be sure to throw away any leftover prescription medications you are no longer taking. Also, monitor prescription and OTC “use by” dates and throw away expired ones; some drugs become toxic after the due date, while others simply lose their potency. Keep a list of all the medications you use, even if you buy them all from the same pharmacy. You should record all of your personal medical information and responses to medications. While some Web sites offer great prices on prescription drugs, not all drug-dispensing sites are legitimate. Only do business with Web sites that have an address and telephone number and that allow you direct access to a registered pharmacist to answer your questions. When you receive the medication, ask the site’s pharmacist all the same questions you would ask your local drugstore pharmacist. Remember, some people will say anything to make a sale. Don’t fall for anyone’s claims of a “new cure” for a disease or condition, a quick cure-all for a wide range of ailments or undocumented case histories showing “amazing” results. If there is any new cure or medication for your disease or condition, your health care professional will tell you about it. Feel free to ask him or her about these claims. Be cautious of Web sites that use impressive-sounding terminology to disguise a lack of good science or those that claim the government, the medical profession or research scientists have conspired to suppress a product. Don’t be taken in by claims that the medical community or government has conspired to keep a product out of your reach. If you are having problems with your weight, energy level or mood, you should turn to your health care professional for help. First, you may have an underlying medical condition that requires treatment. Even if this is not the case, there are many ways in which your health care professional can help. There’s no need to be embarrassed about any of these very important health issues or any other concerns you might consider addressing yourself by using supplements or herbal remedies. While they are safe for the most part, unregulated “natural” supplements such as ephedra, also known as ma huang, can be dangerous; in fact, many of these have been linked to very serious illness and even death in some people. A risk associated with ephedra is its potential for raising blood pressure, which is a major cause of serious problems associated with this herbal supplement. The fact is you simply shouldn’t try to diagnose yourself. But the availability of these “miracle” supplements encourages some people. While some herbs or supplements can be safe, if they are not applicable to your underlying health issues, using them can be not only a waste of money, but dangerous. If you don’t take drugs correctly—at the right time of day or with or without food, for example—the medications may not work as well as they should. Follow instructions on the label and from your health care professional. 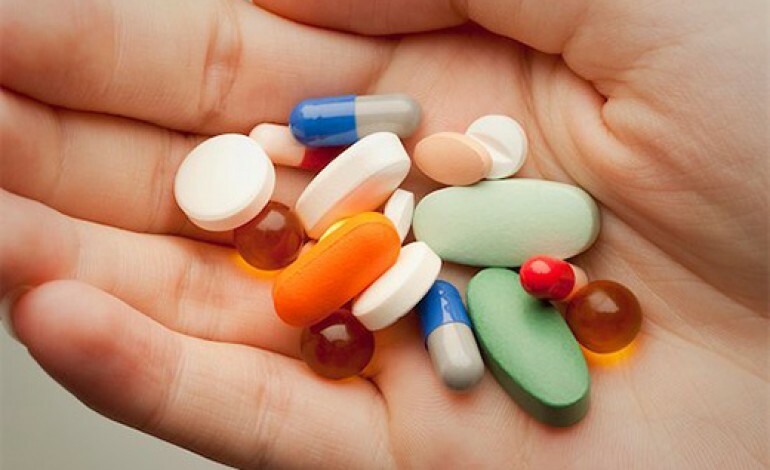 Some common examples of dangerous drug interactions include anticoagulant medications combined with aspirin; antacids combined with certain drugs for Parkinson’s disease; and antacids combined with some heart disease medications. Some of the most common and innocuous drugs can have an adverse effect on an unborn or nursing baby. Be sure to tell your health care professional and pharmacist if you are pregnant, nursing or plan to become pregnant. Also, don’t take any medication, supplement or herbal remedy without first clearing it with your health care professional. Some medications can reduce the effectiveness of birth control pills and other hormonal methods of birth control, such as shots and implants, requiring the temporary use of another form of birth control. Be sure you ask your health care provider if any prescription or over-the-counter (OTC) drugs you’re taking could affect how well your birth control works. Free samples of prescription or OTC medication your health care professional may give you or provide for your child are handy, but they rarely include dosing instructions. It’s easy to forget when you get home if you’re to take two tablets every six hours or one tablet every four hours. Be sure to write down all dosing instructions and tape or staple them to the sample containers. Also be sure to ask about any potential side effects and interactions with any other medications you’re taking. Share your drug list with your health care professional so he or she is aware of the medications you use. Because you are not filling the prescription, there is no opportunity to check via the computer for potential drug interactions as a pharmacist would do. Are medications always the best course for treating illnesses, conditions or symptoms?No. In many instances, your health care professional may suggest nondrug approaches first. For example, if you have high blood pressure, urinary incontinence or high cholesterol, even though there are medications that treat these conditions, your health care professional may want you to try changes in diet, an increase in exercise or simple behavioral strategies before putting you on medication. Why? Because even though over-the-counter (OTC) and prescription medications have been proven safe for most people, there may be some risk in taking them. Do I have to take all the medications my health care professional prescribes, even if I am feeling better?The answer to this question depends on the drug and how it is prescribed, so you should ask your health care professional this question before leaving her office. In the case of antibiotics, you usually need to finish all the medication to completely wipe out the bacteria, even though you may start to feel better within a day or two. You may be instructed to take other medications, such as painkillers, “as needed.” This means that if you start to feel better, you won’t need to continue taking the drug. Also, drugs taken long-term for conditions such as high blood pressure may seem to make you feel worse than when you do not take them. In such cases, your health care professional may be able to prescribe a different medication that will work for you. When I see my primary health care professional for a minor illness, do I need to tell him or her each and every medication a specialist has prescribed for my high blood pressure?Yes. Even if the illness is as minor as a cold, medications your health care professional may recommend or prescribe could have negative interactions with another medication you’re taking. My health care professional just prescribed some medications but wants me to come back to her office in a few days. Why can’t I just call her to let her know if I’m feeling better?She probably wants to run some blood tests, check your blood pressure or conduct other tests to make sure either the medication is having the intended effect or is not having dangerous side effects. She may need to adjust your dose and have you come back again. Be patient with this process. Determining the right dose for an individual is a fine science that requires teamwork between you and your health care professional. You should also discard leftover prescription medication for an illness that has passed, even if the medication hasn’t expired. And don’t try and self-diagnose. What you think is the same illness may, in fact, be something different. Talk to your health care professional. My partner and I are having a disagreement: He says “take three times a day” means at breakfast, lunch and dinner. I think it means upon waking, halfway through the day, and upon going to bed. Who’s right?Usually it doesn’t matter, unless the drug should be taken with food. This is definitely a question for your health care professional or pharmacist. There are so many OTC drugs, it’s confusing. There must be 20 kinds of cough medicines, for example. How do I know if my coughing child needs an expectorant or a cough suppressant?First, if her cough—or any other symptom you are tempted to treat at home—seems severe, has persisted for more than three days or is accompanied by other symptoms such as a fever or difficulty breathing, you should take her to a health care professional. However, for a minor cough, your best bet would be to ask your pharmacist, who should be knowledgeable about OTC medications. He or she can give you some good, practical advice about all those bottles and boxes you are faced with in today’s mega-pharmacies. I’ve started taking a strong antibiotic and now I have stomach upset and diarrhea. Should I stop taking the drug? Or should I take some antacids?You should call your health care professional and let him or her know about the side effects you are experiencing. He or she can assess their severity and counsel you on what to do. For the most part—unless the side effect is severe—you should always contact your health care professional before you stop taking a prescription drug. Also, remember the potential of drug interactions. Antacids can keep your body from absorbing antibiotics the way it should. If your side effect is minor enough for you to treat at home, at least ask your pharmacist which medications shouldn’t be mixed with your prescription.